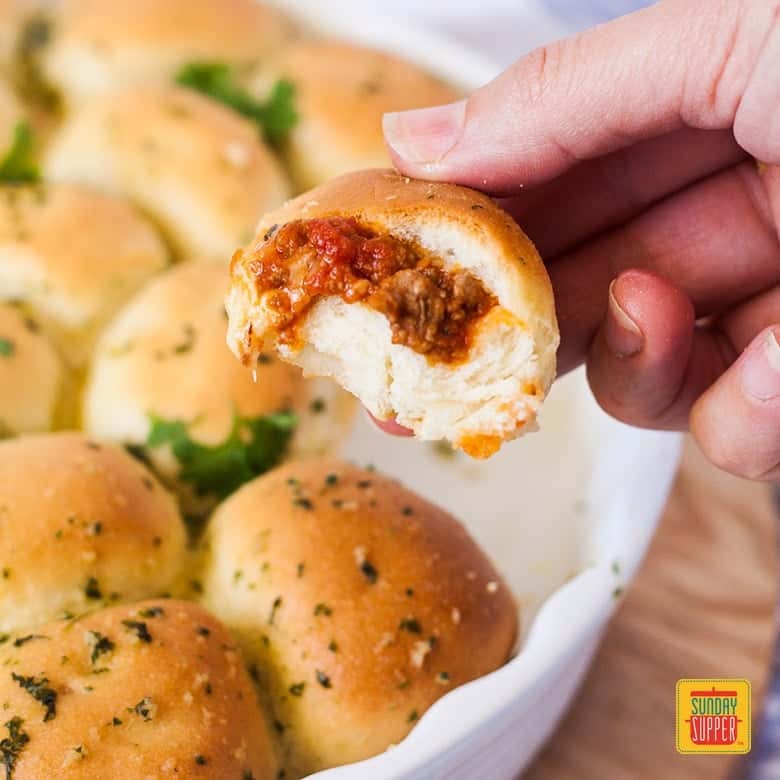 These easy Bolognese Pull Apart Sliders are filled with an incredible Bolognese sauce and cheese, then baked to golden perfection. 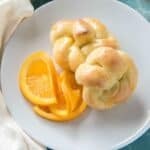 Perfect party finger food to easily feed a crowd. 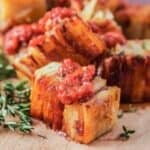 Ok, cute, flavorsome and perfect party food, these Bolognese Pull Apart Sliders combine two of my favorite things – Italian food and food that everyone can share. In everything I make, I always want it to be something that you can throw in the middle of the table and say “dig in guys”. These sliders are definitely that. So the name really gives it all away. Sliders – aka super-cute, mini burgers. 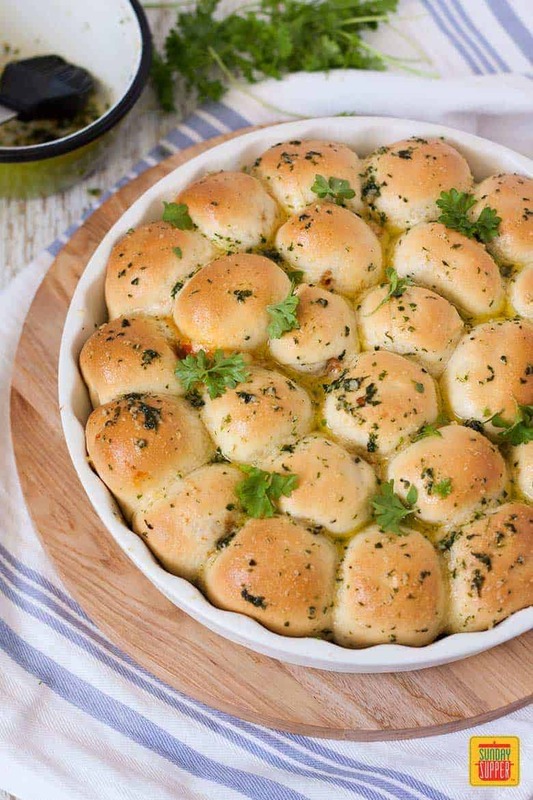 Pull apart loaf – so everyone can just rip off one little roll (or more). 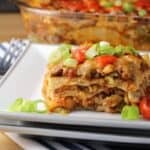 Filled with an easy bolognese sauce and cheese. What’s not to love? 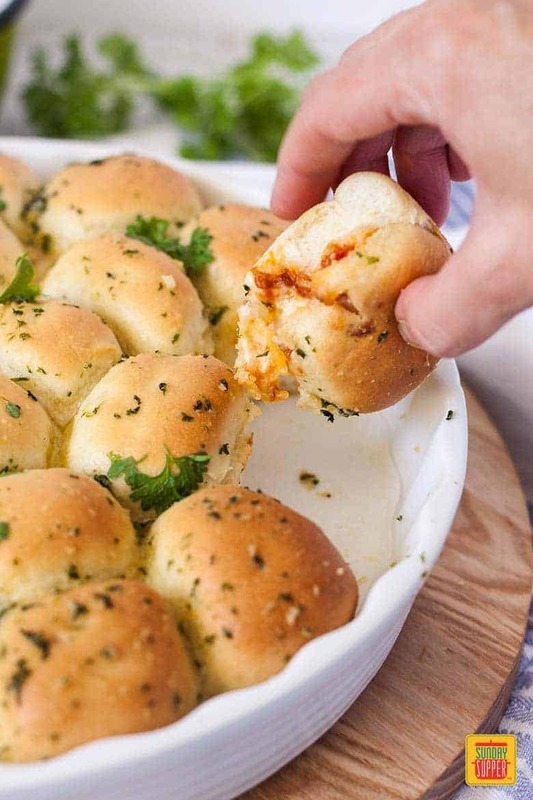 The homemade bread itself is my favorite, never-fail recipe that I’ve adapted for everything from Chocolate Bread, to Hot Cross Buns and now these Bolognese Pull Apart Sliders. It’s incredibly easy to make. Yes, you need to knead but if you have a stand mixer that’s extremely easy. If you don’t have a stand mixer, no worries, you can knead this dough by hand too. If you knead the dough by hand it will take 7-10 minutes to get it to the right texture but I find there is something so therapeutic about kneading dough and about making bread in general. 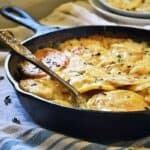 It’s one of those foods that feels uplifting and soothing all at once. Bread has been around as a staple food since the dawn of time and it’s no wonder. The smell of freshly baked bread is so welcoming and heart-warming. The dough has a little time for rising (or proving as they say in the baking world), then you stuff little balls of dough with the Bolognese sauce filling, let them sit for another 5 minutes, then bake them to perfection. 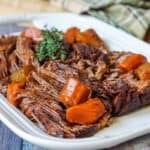 The outside is crispy and the inside is extremely soft and flavorful. And then there’s the garlic butter at the end. 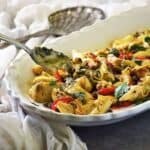 This is a simple mixture of olive oil, butter, garlic, salt and parsley that you saute for a few minutes then brush over your bread as soon as it comes out of the oven. Talk about flavour bombs. These Bolognese Pull Apart Sliders pack intense flavour into little 3-bite bread rolls. The dough is ready to sit and prove once it gets to a smooth, elastic ball. Always brush a bowl with oil, roll the ball of dough around in it so all sides are coated, then cover it to protect it from drying out. Allow it to rise until it has doubled in size. The amount of time will vary depending on your weather and altitude. In very cold weather you can sit it under the lamp from your rangehood or even, heat the oven up to 70C (150F), then turn it off. Sit the bowl of dough on the open oven door (not in the oven). If it is very hot where you are, the dough will rise quicker but so that it doesn’t rise too quickly, place it in a cooler spot (ie in the pantry). Make sure to seal the bottom of the sliders really well to stop any of that magical Bolognese sauce and cheese from escaping. 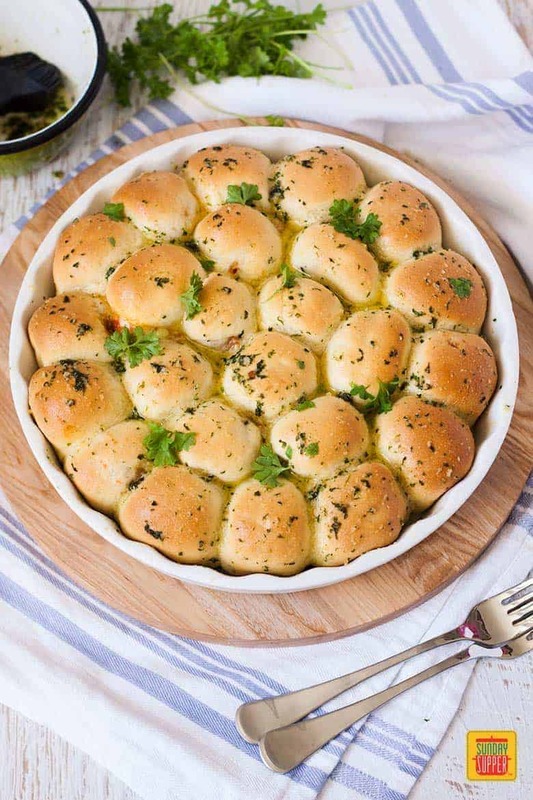 The sliders should be touching in the dish but not hard pressed up against each other for pull apart perfection. Brush the topping on while it is warm as soon as they come out of the oven. Let them cool for 5 minutes before serving as the filling will be very hot. We had these for lunch 2 days in a row and ate the whole lot. 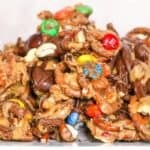 They’re extremely addictive and your family will polish them off in no time. If these flavors are something you crave you might also like to check out these incredible Bacon Cheeseburger Sliders or how about this Homemade Bolognese Sauce with Pappardelle Pasta. 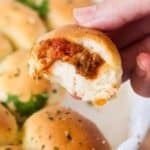 Bolognese Pull Apart Sliders - soft mini bread rolls filled with a delicious bolognese filling and cheese. Perfect party finger food. In a small saucepan over the lowest heat, melt the butter. Once it has almost all melted, add the water, milk and sugar. Stir until combined and sugar has melted (only about a minute - you just want the mixture to be luke warm, not hot). Turn the heat off and sprinkle yeast over the top, then whisk together well. Allow to sit for about 10 minutes until foamy. While that is sitting, sift the flour and stir through the salt. Add the milk mixture. Mix together and then knead until smooth and elastic. 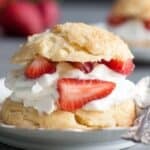 You can do this by hand for about 10 minutes or in a stand mixer with a dough hook for 5-7 minutes. When the dough is smooth and elastic, place it in an oiled bowl, brush a little oil over the top and cover with plastic wrap. Sit in a warm spot to rise for about an hour or until doubled in size. Place a small saucepan over medium heat, add a little oil, then add the onion and garlic and stir until just starting to turn translucent. Add the meat and saute while breaking up with a wooden spoon. Add the red wine and bring it to a simmer before adding the rest of the sauce ingredients (down to the pepper) and mixing well. Simmer for another 5 minutes and remove from the heat. Cool in the fridge until ready. Preheat your oven to 200C / 400F / 180C fan forced. Brush a round baking dish with oil. Give the risen bread dough a very light knead. Cut the dough into 2 halves, over and over until you have 24 small pieces of dough. On a floured surface, use a flat bottom dish (also floured) to flatten each piece of dough then, use your thumbs and forefingers to gently pull on the edges (note 4) all the way round until the circle is about 3 inches wide. Spoon about 1 1/2 teaspoons of bolognese into the centre of a dough disk. 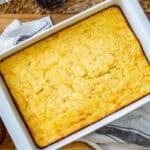 Top with a square of cheese. 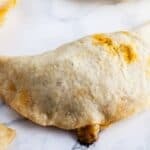 Fold in two sides of the dough to meet in the middle. Fold the first open end into the middle in 3 folds the repeat on the other open end. Where all the dough foods meet in the middle press them together with your fingers. Flip the ball over and place in your prepared dish. Repeat with the remaining pieces of dough. Let them sit for 10 minutes before baking for around 25 minutes until golden on top. Melt the butter in the oil in a small saucepan over medium heat. Add the garlic and salt and sauté for 2 minutes. Add the parsley, stir around then turn off the heat. Brush the topping ng mixture over the freshly baked sliders and serve. I would not have thought to make sliders this way. It is absolutely genius! Love the presentation too!!! Sliders with homemade buns???! These must taste incredible! Plus I love the presentation!! The buns themselves look amazing! But knowing they’re filled with bolognese I’m drooling. What can be better than homemade sliders? Only homemade sliders stuffed with this yummy looking bolognese! They are awesome! !